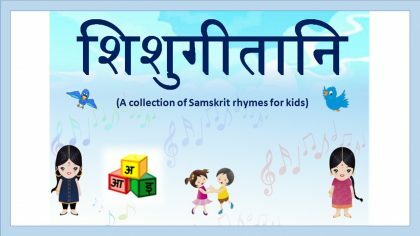 संस्कृतभाषाभ्यासः is a series of short-term courses aimed at developing sentence-construction abilities in Sanskrit, focusing on specific grammar concepts. 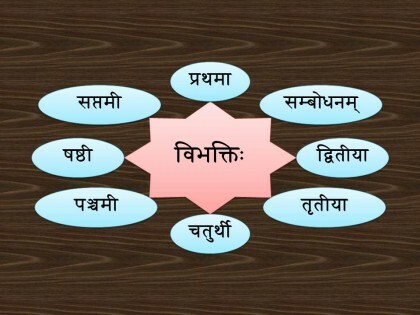 Of these, the first series will focus on the usage of विभक्ति. The classes will cover examples and forms of the vibhakti and the major contexts in which the vibhaktis are used. The class will be interactive and include many exercises, activities and drills requiring active participation from learners. 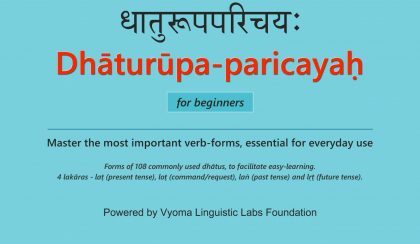 Beginners who can read and write Sanskrit, wishing to sharpen their abilities of sentence-construction. Intermediate learners wishing to refresh their knowledge will also benefit. Ability to read and write Devanagari script. 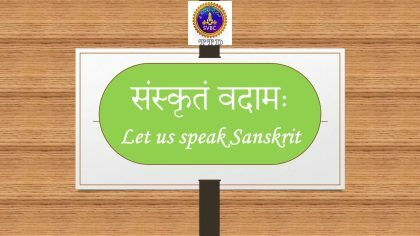 Basic knowledge of Sanskrit words and sentences. 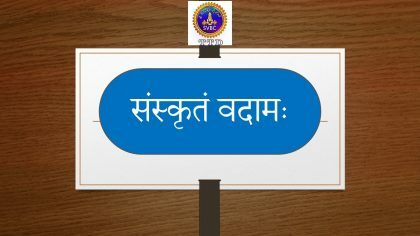 Ability to understand simple spoken sanskrit. 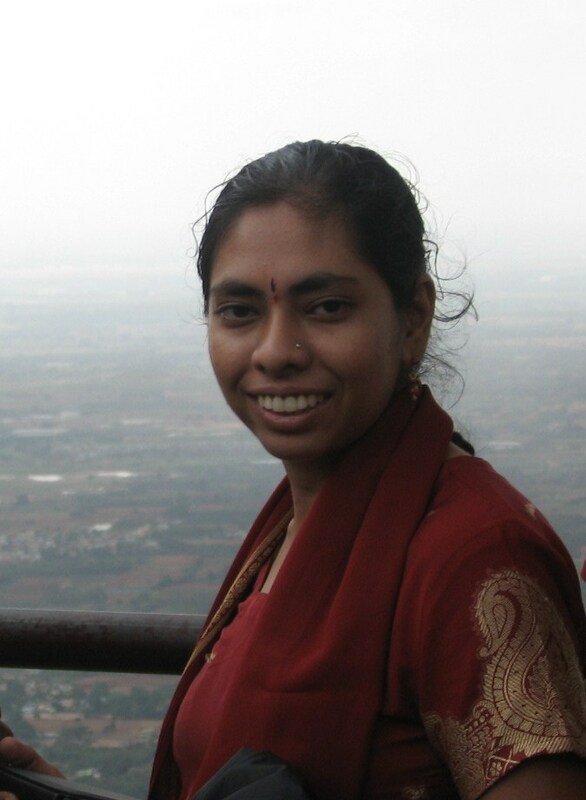 Live webinars, supported by recordings and notes of classes uploaded in the pathashala. 1. For attending the live webinars, click here to register. Once you register, you will receive an email before every class, with a link to enter the webinar room. Technical requirements for attending the webinar – Any computer/laptop/Smartphone. Earphones/Headphones with mic. 2. After each class, materials (notes, audio, video, handouts, etc) will be uploaded in vyoma-samskrta-pathasala (www.sanskritfromhome.in). To access these, click the ‘Take this Course’ option below this course description. Mostly Sanskrit (with occasional explanations in English). Continuous assessment through the classes, taking into consideration active participation in various activities during the class. There will be one exam at the end of the course, with both written and oral components. The exam is optional, and students can opt out of the exam if they do not require a certificate. Candidates who fare well in both continuous assessment and final exam, and achieve a minimum of 80% attendance in the live webinars will be issued an e- certificate by Vyoma Linguistic Labs Foundation. The course is complete. All materials related to the classes have been uploaded here.